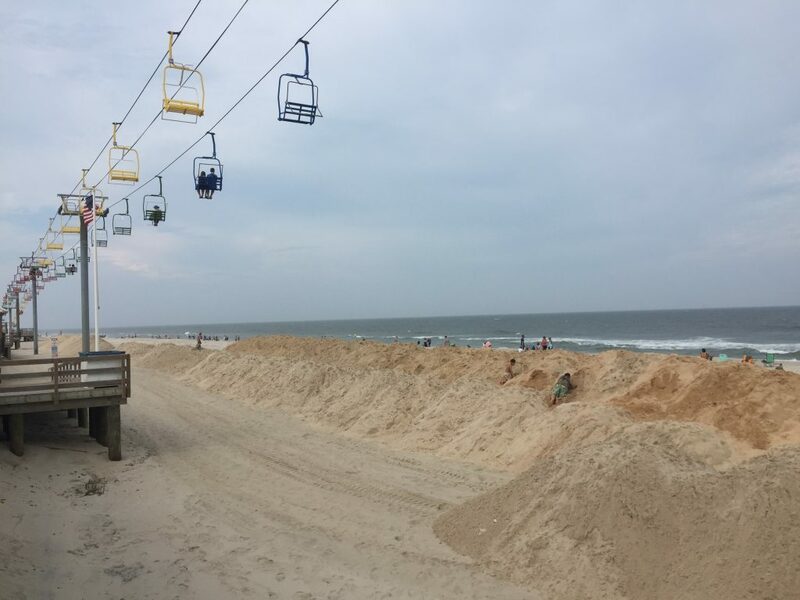 Crews have started constructing a beach berm that will help protect the Seaside Heights boardwalk and beachfront as nor’easter season approaches. 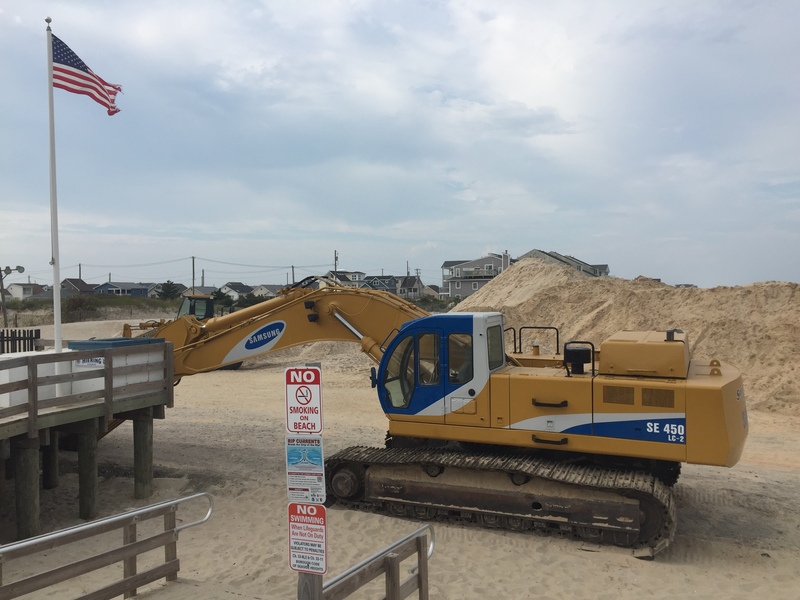 Sand has been delivered to the borough’s north beach at Hiering Avenue, and workers using bulldozers and front loaders have been distributing the sand and building the berm along the oceanfront in the northern half of the town, where dunes were washed away last winter. “Hopefully we won’t have any more storms, but we’re putting it up for protection,” said Mayor Anthony Vaz. 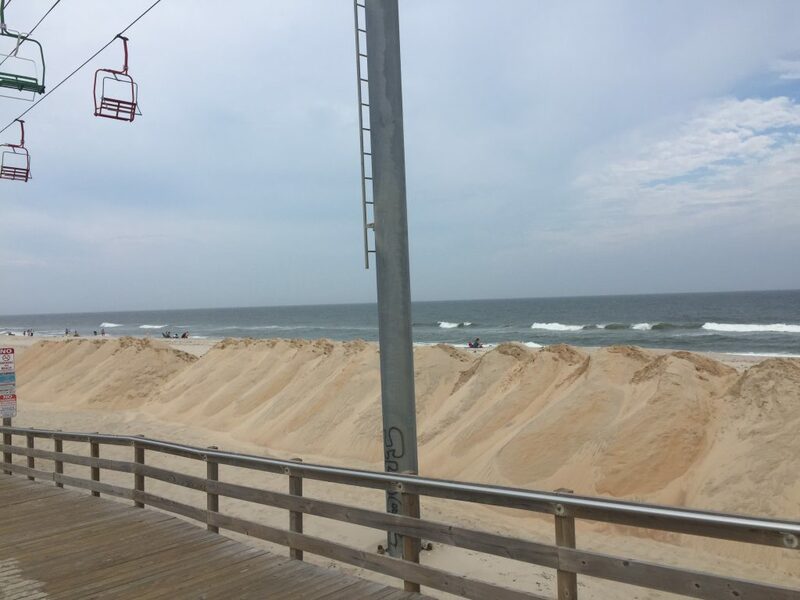 The borough received $585,000 from the state to build the berm while officials wait for a federal beach replenishment project to begin. 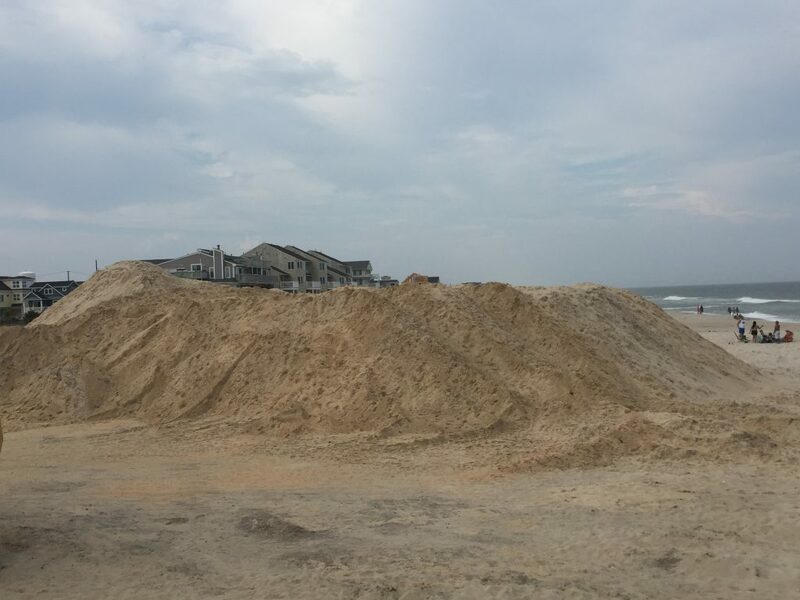 That project will construct permanent dunes, 22 feet above grade, with at least 200 feet of sand in front of them. Bids are expected to be solicited by the U.S. Army Corps of Engineers later this month. Vaz said about 600 dump truck-loads of sand are being delivered as part of the current project.